The last of our items were stowed away that morning. Then Michiel’s parents drove us to the airport and it was goodbye time. We were super thankful to get to see so many of Mikes close friends and family during this trip, since hubster hasn’t been back to Holland since April. The brother was the unlucky one to whom pick up duty fell and we got home past midnight. The comfort of our (kind of😜) own bed beckoned strongly and the ideas of no early morning alarm being set, no hair having to be done the next day and coffee just as we like it, were thrilling thoughts to fall asleep to. Mikes alarm was set and his clothes rifled out of the suitcases, for he had an interview to get to the next morning. Which is probably a good thing, because it meant that it was all unpacked, sorted out and put away, before noon. 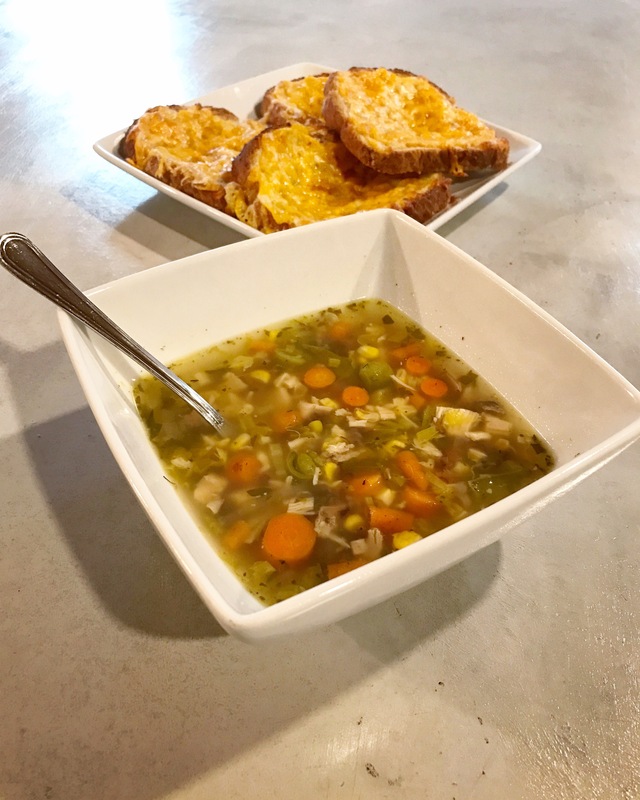 Michiel had returned home once I awoke and we headed over to the house to do a couple of things before eating our supper of soup which Mom had in the freezer and cheese bread. That night we got to talk to my parents on the phone, as they were actually away at the family cabin.